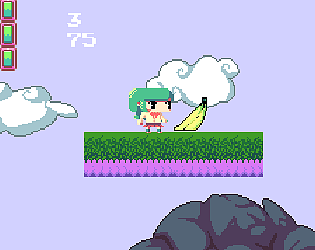 An average platformer game with a cute girl. Editing my feed back a little after playing the new version. Again I liked a lot how this ended looking. 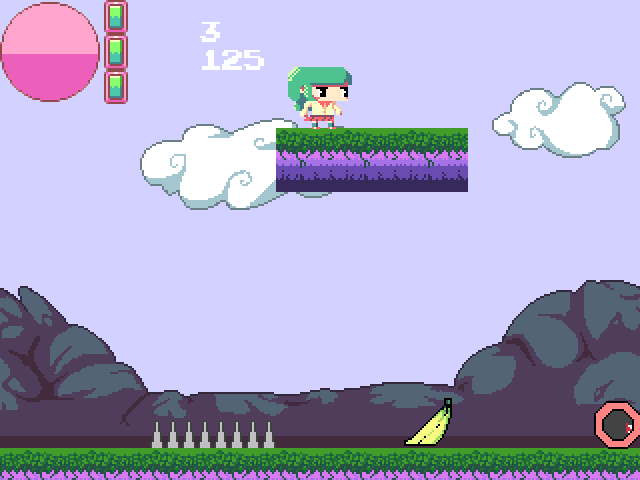 Backgrounds, UI and main character are great, but I feel that there is a lot of different styles clashing between them, for example how the main character lacks lineart while the backgrounds have very strong lines (but I'm not sure how many of the assets are place holders either). Level design is interesting, and since you keep finding new stuff once on a while it doesn't get boring at all. Like I said previously hope to see more progress soon, I really want to see it grow.